First, you may have evidence of Ashkenazi Jewish ancestry in your Ancestry Composition results (Figure 1). DNA clearly shows connections among those who consider themselves to be Ashkenazi Jewish: two Ashkenazi Jewish people are very likely to be "genetic cousins," sharing long stretches of identical DNA. This reflects the fact that the Ashkenazi Jewish population expanded relatively recently from a small initial population. Figure 1. Ancestry Composition gives the most comprehensive look at your genetic ancestry. It uses DNA from most of your genome, including contributions from recent ancestors on both sides of your family. 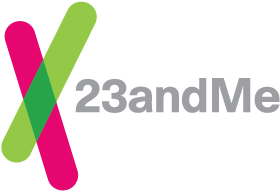 Second, you may have evidence of Jewish ancestry in your mitochondrial haplogroup (also known as a maternal haplogroup), available in the Maternal Haplogroups report. The mitochondrial haplogroup is determined from your mitochondrial DNA, which is passed from mothers to their children (Figure 2).